This year’s Star Wars Celebration is now underway, and has already offered a generous array of material from the space saga’s upcoming projects. Just take this newly unveiled photo of Billy Dee Williams reprising his role as Lando Calrissian in Star Wars: Episode IX. As per the leaked promo art, Han’s old friend is rocking a similar yellow shirt and cape combination to the outfit that Donald Glover sported in last year’s Solo: A Star Wars Story. 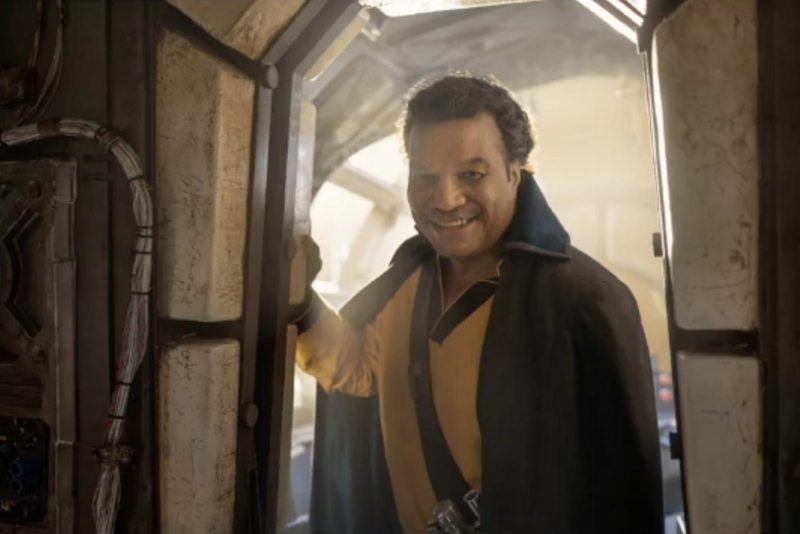 From the look of things, Lando may finally have reunited with the Millennium Falcon, which might explain the grin on his face. At the time of writing, little is known about Lando’s role in J.J. Abrams’ next film (though the news is coming so quickly right now that perhaps you’ve already heard some details). One unusually persistent rumor is that Naomi Ackie has been cast as his daughter. And while the evidence remains thin for such a claim, the canonical 2018 novel Last Shot heavily implies that Lando at least started a family a few years after the events of Return of the Jedi. In any case, Episode IX is currently looking likely to be Williams’ final big screen outing in the series. If so, then it’ll be interesting to see if the Sequel Trilogy finale can still find time to continue his arc in an interesting way, while keeping the focus on the saga’s younger leads like Rey and Kylo Ren. Recent reports indicate that Lando may not get a huge amount of screen time, but if nothing else, it could be nice to see him reunite with Chewbacca and a few other Original Trilogy stars. Either way, we’ll find out what’s in store for Williams when Star Wars: Episode IX hits theaters on December 20th, 2019.